Letter from your employer on letterhead and with original signature stating the nature of the trip, travel dates, and your information. Please print the LOA and sign it with blue ink. 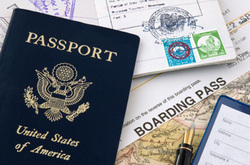 This letter is an authorization in which you authorize us to process your passport. Front and Back copy of your government issued identification. This form can be handwritten. Where to get your signature witnessed? Follow the link below and enter your zip code for the nearest facility. WHAT DOES IT MEAN AND WHY SHOULD I GET MY SIGNATURE WITNESSED? This is a requirement from the US Department of State. When you gather your documents and take them to the Post Office or Clerk of the Court, they are verifying that you presented yourself and that you signed your application in front of them. They will use your identification to verify that you are the same person that is standing in front of them and that your picture is a true likeness of yourself. The clerks have been formally trained to witness your signature therefore they will review all the documents and once signed, they will seal the documents inside an envelope. 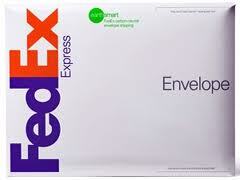 You must immediately overnight the sealed envelope to us using a traceable method. 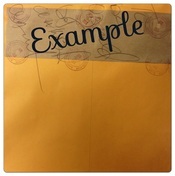 Once sealed, the envelope expires therefore you must send it right away. At the Post Office or Clerk of the Court, you will pay the government fees. $170.00 will go inside the sealed envelope in form of a money order or personal check. An additional $35.00 will be paid to them as the execution fee. The total is $205.00 which is what you see as the "Government Fee." When you download the "Passport Work Order," there will be a space to include your payment information. We accept VISA, MASTER CARD, AMEX, and US Postal Money Order as form of payment. We will send you an itemized invoice along with your passport. Make a copy of the documents listed above. IMPORTANT NOTE: Some clerks do not include all documents inside the sealed envelope, anything left out, we ask that you please send to us and we will staple the paperwork to the outside of the envelope for submission. Once we receive your package, we will hand carry the package to the Washington Passport Agency (Should we need additional clarification or documents, you can be sure that we will contact you). As a general rule, US Dept of State has the right to request more documents or request an in-person interview. Due to unexpected computer issues the US Department of State may increase their processing time without notice. Certain passport holders may result in additional processing time, this is determined by the US Department of State.. SC-Passport and Visa is not responsible for US Department of State delays or acts of nature.